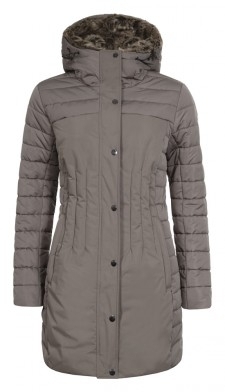 luhta womens warm luxury coat water repellent and breathable available in two colours. black and taupe. this is a very nicely shaped and styled coat, a typical Luhta classic with a faux fur trim in the hood and down the front of the coat, which is detachable. Very neat, trendy and is knee length.